This 4th of July weekend, starts my summer of super-ultra runs. After putting down the Pocono Marathon quite nicely, I have shifted my attention back over to trails. First up is the weekend's Finger Lakes Fifties. 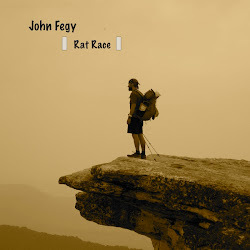 I am treating this race in a very different manner than my previous fifties. 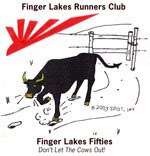 My goal is to complete the Vermont 100 in a couple of weeks and this Finger Lakes "race" is simply a very long training run. I singed up to run it because it allows me to visit with my family up in Rochester easier, and because I was able to sign up for both the 50m and 50k simultaneously. What I mean by this, is that because the course is made up of 16 mile loops, I have the option of quitting after 2 loops (ie 50k)....and still receive a finishers medal for the 50k. 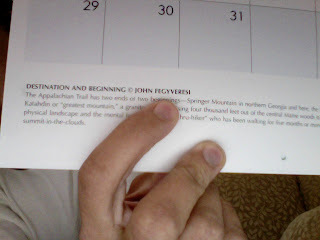 This means I have no pressure to finish the 50 miler (although I still obviously want to). I am looking ahead to my greater goals of Vermont and Leadville. If the weather ends up being crappy, or I start getting very sore, I have the option to quit and still not get a DNF. The course sounds great. I'll be winding through a ~16 mile loop in the Finger Lakes National Forest three times (with a ~3 mile final small loop at the very end). The elevation gain is nominal (approx 1200ft per loop), so it shouldn't be too extreme. The only maybe will be the weather. Antarctica Dates Set: 3 Months on Ice! My deployment is set for Nov 6th and departure for Feb 12th. This means I will be in the field for over 3 months this year (including McMurdo time). This also means that I will be arriving at WAIS Divide before the camp is fully set up and will be actually cooking my own meals for a while. Nothing like "roughing it" at a remote field camp in Antarctica. oh well....all in the name of science right? Let's just hope that I'll have defended my masters by then. Another Photo! This Time Christchurch New Zealand. I just got an email from a Christchurch Tourism group who has included one of my New Zealand photos in their tourism guides. This coming one day after my AT calendar came out....now that's pretty cool! The 2010 A.T. Calendar Is Here! 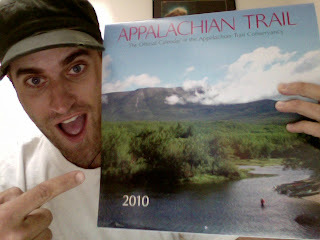 Well, I got my copy of the new 2010 Appalachian Trail Calendar yesterday and my photo is nice and big on both the cover and for the month of August! "The Appalachian Trail has two ends or two beginnings - Springer Mountain in northern Georgia and here, the more fabled one, Katahdin or "greatest mountain," a granite monolith rising four thousand feet out of the central Maine woods to dominate the physical landscape and the mental landscape of the the "thru-hiker" who has been walking for five months or more toward this lofty summit-in-the-clouds." Here are my field camp photos. I'll be putting together all of these pics as well as my vids to some music some time in the next week or so. So we are in Montana now and we just spent the past 4 days mapping in Elk Basin. The students broke into groups of two, and split up across the basin to map the various Cretaceous units (ranging from the Cody Shale up to the Judith River Formation). We are staying at the YBRA (Yellowstone Bighorn Research Assoc) which has been around and affiliated with Penn State for over 50 years. There are small cabins and a galley that students live/eat in. The camp, is a couple thousand feet up Mt. Maurice and is tucked away nicely within the trees. I woke up the first morning to a nice dusting of snow (in June). 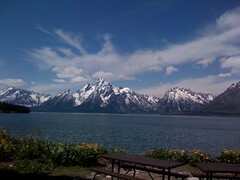 View from outside my cabin door. 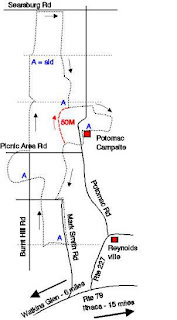 Section of a "filled out" topo map. We have a few more days here in Red Lodge Montana (YBRA), and then head to Yellowstone for a couple of days of camping and sight seeing. Well....TAing field camp has been a great experience so far. We've completed the first two lab assignments and the students are still having a good time. 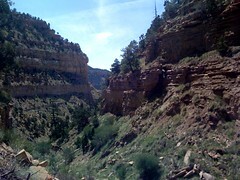 The first lab dealt with measuring strata, sketching strat columns, and understanding the paleoenvironments of the book cliffs area in Utah. For the second lab, we went into the field around the Great Salt Lake in areas that used to be part of Lake Bonneville and the students are using ArcGIS to create a geological map of the area. They are also focusing on explaining a specific wave cut scarp. For the third lab, we'll be heading up to Elk Basin in Wyoming and turning our focus to more structural geology as we look at the faulting and deformation there. So I got a couple shots of bummy news today. First off, I found out that I was not selected in the NYC Marathon Lottery. My buddy Aaron and I were hoping to both run in it on November first, but the lottery only gives people about a 30% chance of getting in. Turns out both of us were just turned down. Looks like we'll have to try again next year. Secondly, I also found out that the Ice/Glacier class I signed up for in Italy also declined my application. The Karthaus class is a 10 day class offered in Europe that focuses on glacier dynamics. There were an extraordinary number of applicants this year, and they gave preference to PhD students. Perhaps next year.